3D imaging certainly has been one of the more interesting topics of discussion among technology enthusiasts over the past several years. It’s also an incredibly fast growing industry, as the 3D imaging market is anticipated to be worth $16.6 billion by 2020. Those statistics make it quite obvious that 3D imaging technologies have been embraced by organizations across various types of industries around the world. 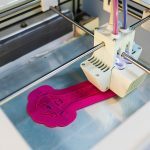 For example, the combination of 3D imaging and printing are being used by a growing amount of businesses to replace some of their inefficient, legacy manufacturing techniques, resulting in huge savings related to operational costs as well as considerably less waste generated. As far as consumer applications go, these combined technologies can do things such as print working musical instruments and enable secure face recognition for mobile devices. One of the more unexpected byproducts of the growing availability of 3D printers was the manufacturing of cheap prosthetics. Combined this with 3D imaging tech creates a serious impact on what was previously an incredibly expensive necessity. Depending on its complexity, patients were simply just expected to pay upwards of $50,000 to $70,000 for a prosthetic replacement. This financial burden affected more families than you would think: one in 1,000 infants is born with missing fingers while thousands of others lose parts of their body yearly due to injury. Since children have a rapid pace of growth, replacements can run upwards of thousands of dollars or more to medical bills. Most American families simply could not afford this. 3D printing and imaging companies like e-NABLE, however, offer a radically less expensive alternative, as materials for a prosthetic created by a 3D printer costs as little as roughly $20. You would think that this would produce lower-quality prosthetics, but this is certainly not the case. Many experts have indicated that products created by 3D imaging are just as good, if not better. Most people are sensitive to both the shape and dimension of their face, so when it is noticeably out of proportion, it tends to make them feel self-conscious and can hurt their confidence. Using 3D imaging technology, facial implant companies use their expertise to properly perceive the three-dimensional interaction of all facial features to create a well-defined, balanced face. Dr. Binder was the forerunner of these innovations, combining modern 3D imaging technology to create more accurate anatomic facial implants that are more effective, longer-lasting and more visually pleasing results. Sticking with the medical field, doctors have also found a very interesting use for the 3D imaging technology. Recently, health experts were able to create a 3D anatomic model of a patient’s heart using the combination of two imaging techniques. This was quite a striking advancement. An extremely detailed and accurate model will allow them to improve the diagnosis and treatment of heart diseases. Medical professionals were able to accomplish this by using both computed tomography (CT) and three-dimensional transesophageal echocardiography (3DTEE). The CT noticeably improved researchers’ ability to visualize the outside anatomy of the heart, while the 3DTEE technology enabled them to have much better view of the valves inside. 3D imaging also allows for the creation of highly-detailed medical models, giving medical practitioners an inexpensive alternative to learning about the human anatomy without having to use actual remains of human bodies. 3D technology can also create the smallest pieces of human anatomy, even if it measures just a fraction of an inch. 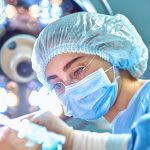 Because the details are so finely accurate, surgeons can also thoroughly plan a surgery based on a 3D-imaging medical model prior to a patient going in for surgery. This certainly allows complicated operations to go much more smoothly and be considerably safer. As 3D imaging tech becomes cheaper and more advanced, so does medical science. Hewlett-Packard has been experimenting with augmented reality and 3D image manipulation recently. It will allow its customers to play with 3D images that can be physically manifested using a 3D printer, creating a more interactive user experience. It’s pretty interesting how HP went about accomplishing this: the company leverages Intel’s 3D RealSense depth-sensing camera, enabling users to scan an object and manipulate the produced image on a specialized Touch Mat surface. It then provides the option to print it on a 3D printer. The company plans to bring this technology to their tablets and laptops. Though this intriguing feature already exists on the HP Sprout all-in-one desktop, they anticipate embedding the technology into many of their mobile products sometime in the near future. Over the past few years, there have been several companies launching projects to bring Virtual-Reality back into the gaming world. These projects include Facebook’s Oculus Rift, Sony’s Project Morpheus, and HTC’s Vive. Though each offer impressive technology, a far more interesting development has occurred with researchers at Japanese high-tech firm, Miraisens. Last year, they unveiled a new technology that makes it possible to touch 3D images using VR. It does this by generating customized ‘touchable 3D-imagery,’ claiming that people will be able to both push and pull objects that are visible only on the monitor. This technology is slated for a commercial sometime soon, which will certainly help VR companies create the effect of physically performing various tasks in gaming. Archeologists are also leveraging 3D imaging technology to help preserve sites and findings. Because excavating dig sites creates a high risk of destroying the story behind it, archeological professionals are eagerly turning to 3D modeling technology in order to help preserve the information found in a site, discover new areas to start digs, and to create models of ancient artifacts using 3D printing. For example, modeling programs like Rhinoceros allow researchers rotate a 3D-generated model and slice it at any angle to view a specific cross section. It also allows them to achieve extremely precise measurements, volume data, and other features that were previously difficult to attain manually. Astronauts are also starting to use 3D imaging technology to print tools hundreds of miles above earth’s atmosphere. Everything on board space stations currently has to be brought directly from Earth, which results in months of waiting to receive a valuable replacement part. With 3D imaging and printing technology, however, those supply lines are becoming blurred. Back in late 2014, the International Space Station (ISS) used 3D printer to produce a ratchet wrench using a design file created by 3D imaging, which was transmitted from Earth. Though the tool was not actually used in space and it was produced there and thus sent back to Earth on the next return voyage for rigorous structural and mechanical testing. If results are more than encouraging, we may see the next generation of 3D printed tools actually being used in space. Designer companies have begun to use 3D imaging technology to make ordering perfectly-fit clothing much easier and a lot more affordable. If successful, it may radically change the fashion industry. Companies like the Australian XYZ Workshop are already providing downloadable dress designs online; soon, anyone with a compatible 3D printer will be able to easily create their own clothing at home. Additionally, a team based out of San Francisco, Electroloom, recently claimed that it has built their first version of a 3D printer specifically for clothing, indicating that consumers will be able to use these available designs to create a new outfit within the next few years. It seems that you won’t have to be a seamstress to manufacture quality clothing anymore. Technology company, NanoLive, has created the “3D Cell Explorer first-ever microscope”, which allows scientists to look inside living cells without having to prepare any prior samples. The 3D Cell Explorer is able to record detailed 3D images of entire living cells in a matter of seconds; all at a much higher resolution than any traditional microscope that is currently available. To achieve this, the microscope functions like an MRI scanner by taking photographs at different depths across the cells. The resulting slices of photography are reconstructed using intuitive holography software, resulting in a high-resolution 3D image of the cell that can be rotated and explored in depth. This 3D imaging technology is certainly beneficial to researchers, students and medical doctors, as they can directly see what exactly is going on inside a living cell, in real time. Take a deeper look inside our surgery center and find out how Dr. Binder has revolutionized the use of 3-Dimensional computer imaging. Dr. Binder and his staff have taken a step in the right direction for producing custom-designed implants for facial reconstructive and aesthetic surgery. He designed a system that develops personalized implants to reconstruct a patient’s facial contour defects with great accuracy. 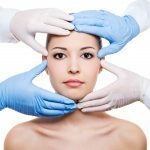 Contact Dr. Binder’s Facial Plastic and Reconstructive Surgery Center in Beverly Hills to learn how we put our technology to work for the modern era of facial contouring.